Scratching your head for a lovely gift for your friends and loved ones? Why not celebrate the festive season this year by giving an indigo foundation ‘good gift’ and making a donation to indigo foundation on your friend’s behalf? Your donation will go a long way to supporting the fantastic work of our grassroots partners around the world. And we’ll send you – or send direct to your loved one – a beautiful indigo foundation card and message to let them know you’ve donated on their behalf. We are a volunteer-based organisation with a virtual office and we work directly with small grassroots community organisations so your ‘good gift‘ will make a real impact! 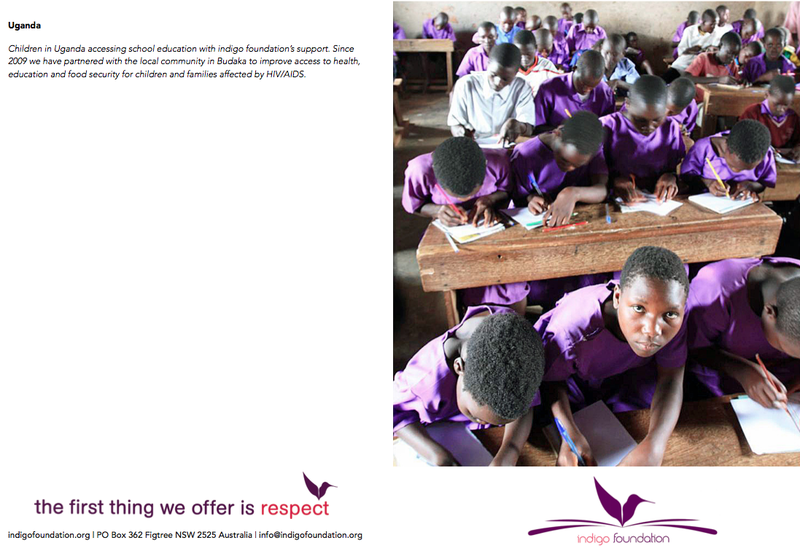 $28 will buy school materials – books, pens, uniforms – for 4 vulnerable children impacted by HIV in Uganda for one year, keeping those children in school and reducing the stigma of poverty attached to households who have lost breadwinners due to HIV. $30 will sponsor one urban dance class for 30 marginalised young people at Club Rafiki in Kigali, Rwanda, giving a fun and creative activity and access to the Club’s sexual health and HIV programs. 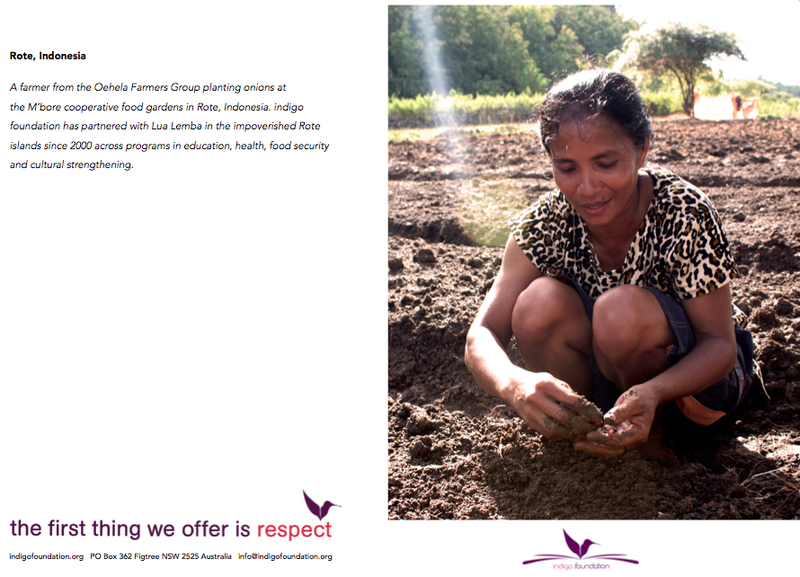 $60 will buy well lining to ensure there is permanent water at a women-run cooperative food garden on the impoverished island of Rote. $85 will support one community-based after-school tuition centre for one month, including tutor salaries and education materials, for Dalit children in the slums of Tamil Nadu, India. 1. Click the “donate today” button at the top right of the screen. 2. Nominate a one-off amount to donate and note in the comments section that your donation is for a good gift. 3. Send us an email at info@indigofoundation.org to let us know you want the donation to be a ‘good gift’ and if you have a preference of card (to the right). 4. We’ll send you a beautiful indigo foundation card with a small message from us and room for you to personalise. Or if you wish we can send the card direct to the lucky recipient on your behalf. Please note that gift amounts above are representative of how donations can be allocated to our projects. Your gift will be used where it is most needed to improve the lives of people in marginalised communities around the world.